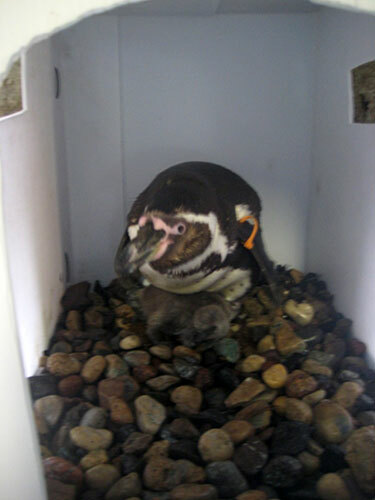 Three female Humboldt penguin chicks are now on public exhibit. If you’re wondering if they’re siblings, they are not! 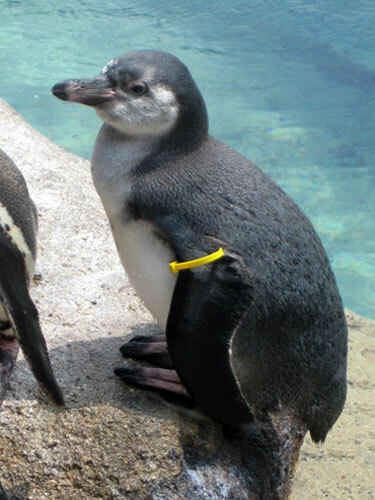 Daisy (yellow band/left) was born April 11, 2014, to parents Mariano and Liberty. 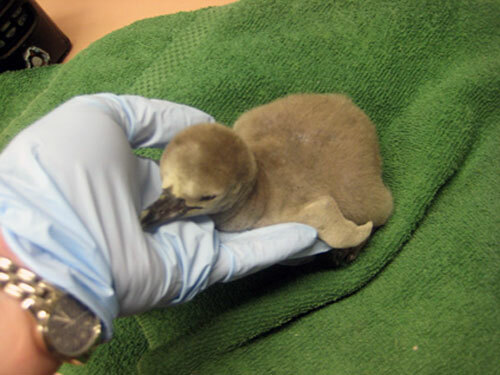 Since Mariano and Liberty were inexperienced parents and had not yet successfully raised a chick together, keepers transferred Daisy – when she was still an egg – to Houdini and Anke, who foster raised her. Lilly (dark blue band/left) was born April 20, 2014, to parents Jack and Eva, and Thistle (light purple band/left) was born June 1, 2014, to parents Farley and Penelope. 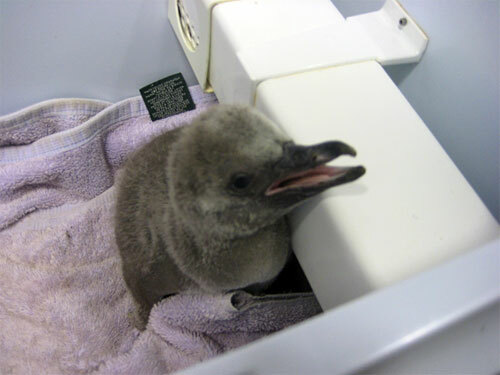 Thistle is Farley and Penelope’s first surviving chick. 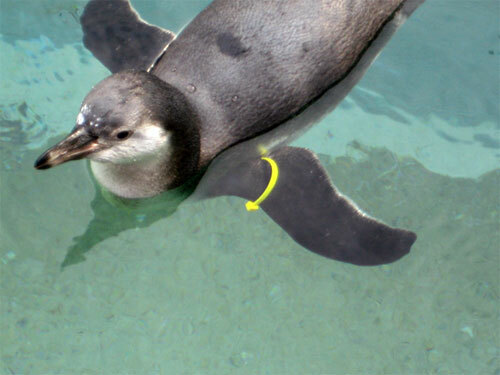 All chicks were fully-fledged at 3 months old, meaning they were able to leave the nest and start swimming. 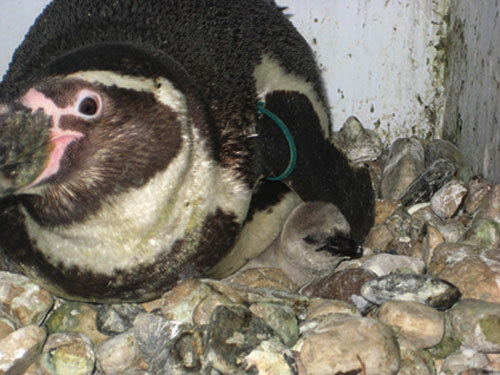 Humboldt penguin parents do not let chicks leave the nest until they are big enough to swim. 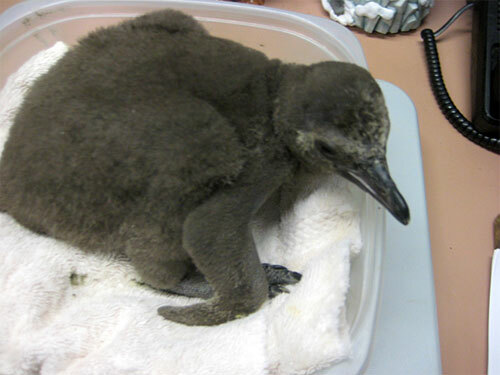 Keepers report distinct personality differences between the three chicks saying that nothing phases Daisy, while Lilly is shy and Thistle is sassy! 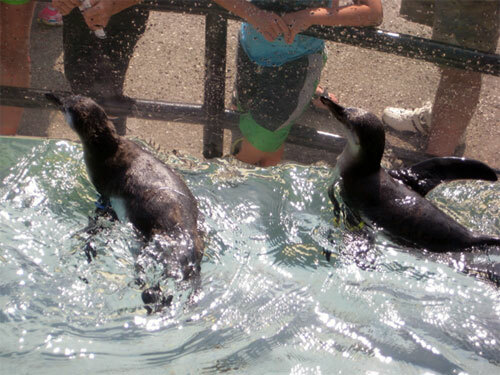 Humboldt penguins are native to the warm, coastal regions of Peru and Chile. 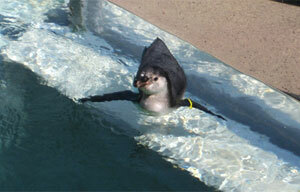 In the Humboldt penguin’s native habitat, temperatures can reach up to 108 degrees Fahrenheit. 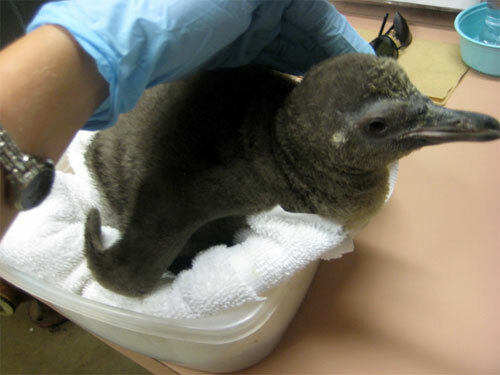 To keep cool, a Humboldt penguin’s face, wings and feet will flush pink if the animal gets too hot. 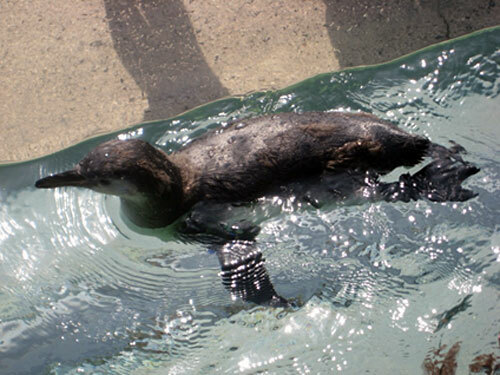 This flushing allows the animal to shed body heat by sending blood to the barest parts of its body. 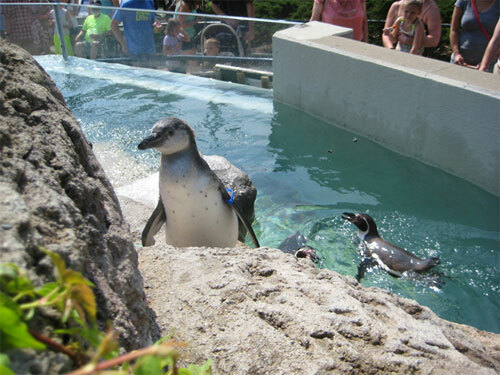 Our Humboldt penguins are on outdoor public display year-round, even during Wisconsin’s cold winter months. 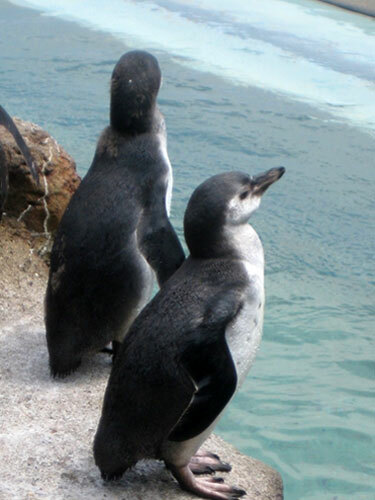 Their Zoo exhibit includes heated rock burrows that the penguins can go into at their discretion. 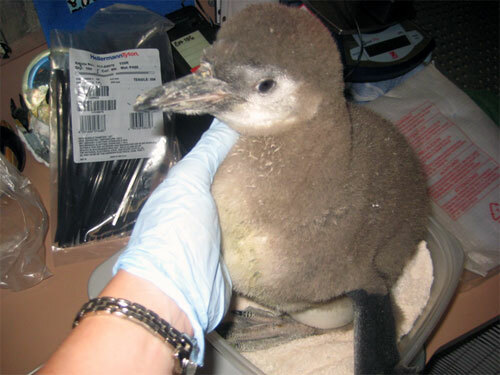 On rare instances when Wisconsin’s wind chill dips extremely low, the burrow doors are closed so that the penguins can keep warm inside their heated burrow room. 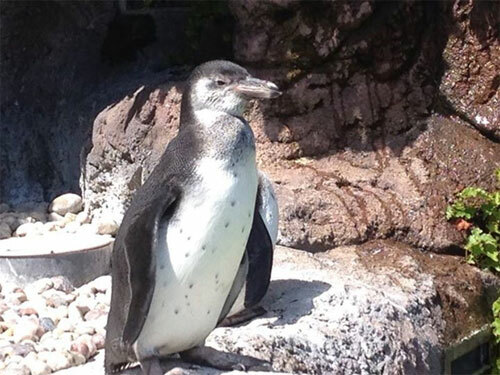 Visit all 17 of our penguins at the Taylor Family Humboldt Penguin Exhibit.